This is how you stand out at Fashion Week, people. The further into Fashion Week you get, the more shows bleed together in your mind: where they were hosted, which models walked, who sat front row and even what the clothes looked like. One way to stand out in such a crowded calendar is to break off from the standard runway show format. We&apos;ve already seen several examples of this so far this week — from Gareth Pugh, Gwen Stefani and Tracy Reese — but the most ambitious by far has been the one-act, 45-minute play Opening Ceremony put on Sunday evening to introduce its spring 2015 collection. Opening Ceremony recruited quite the team to put on the performance — and it didn&apos;t disappoint. Spike Jonze directed and co-authored the screenplay with Jonah Hill. Elle Fanning, Dree Hemingway, John Cameron Mitchell and Bobby Cannavale starred, with appearances from Rashida Jones, Catherine Keener, Alia Shawkat and Karlie Kloss. The play opens with the arrival of Julie (Fanning), an 18-year-old model fresh out of the midwest, at Opening Ceremony&apos;s spring 2015 collection casting. There, she encounters a variety of classic industry stereotypes who come to embrace her: the 20-year-old model who no longer enjoys her work (Hemingway), the super successful model doted on by everyone (Karlie Kloss, as herself), the frivolous and high-strung designer (Cameron Mitchell as OC&apos;s Humberto Leon) and the even more highly strung and foul-mouthed CEO (Catherine Keener as OC&apos;s Carol Lim). The show is funny, not just because of the one-liners but also because the Leon and Lim of the stage are so unlike their gentle, real-life counterparts. Leon has a crisis picking a song for the show; his best friend and the collection&apos;s stylist (played by Bobby Cannavale) reveals that he is in love with Leon&apos;s husband. 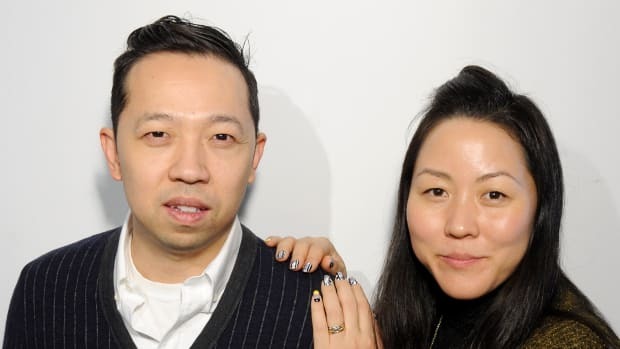 At the climax, Leon reveals what his spring &apos;15 collection is truly about: The summer of &apos;91, when he and Lim&apos;s biggest care in the world was what pool they would sneak into next, and Lim would let Leon dress her up in wild costumes. It was all about adventure and fun — no pressure. As a play it was entertaining; and as a collection debut, it was excellent. Because the plot centered on a show casting, it was natural that clothes should take center stage. And because the play was 45 minutes long, the audience had a long time to look at the pieces and to get a sense of the design and direction; they were also invited on stage to see the designs up close at the end. In an industry that&apos;s often overly serious and self-important, this easy-going attitude — with a side dish of humor — is what sets Opening Ceremony apart, season after season. 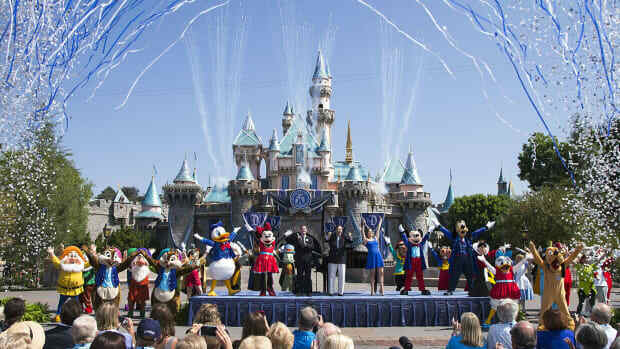 Opening Ceremony Is Throwing a Fashion Show at Disneyland, Baby! The happiest place on Earth will host its first fashion show in 40 years.